These bags are ridiculously fun. 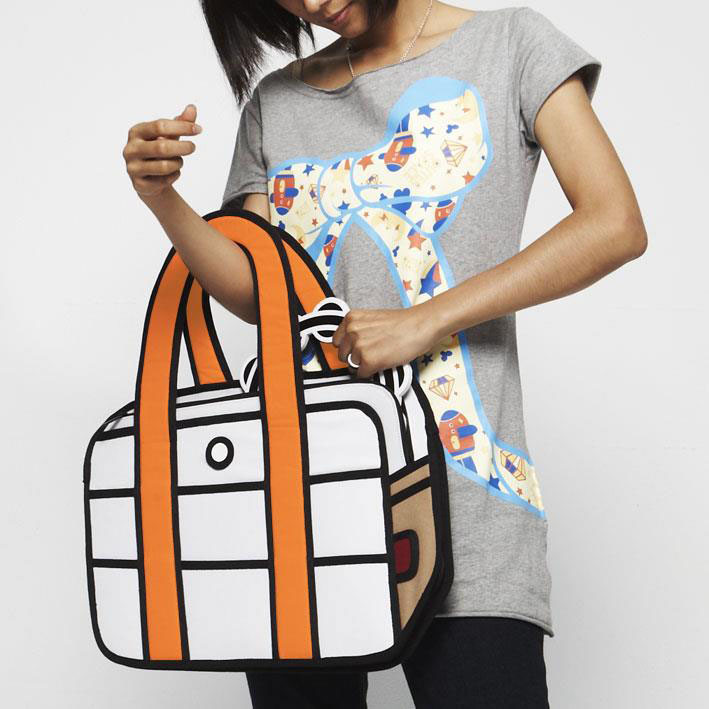 Designers Chay Su and Rika Lin from Taipei asked themselves “How amazing it would be if a two-dimensional hand-drawn illustration could come to life as a real bag? 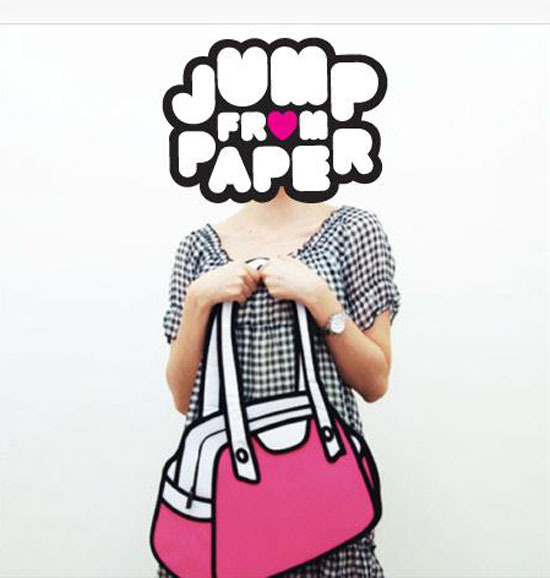 !” And from there Jump from Paper came to be. Pretty amazing. Though the bags look flat, apparently they are quite roomy. 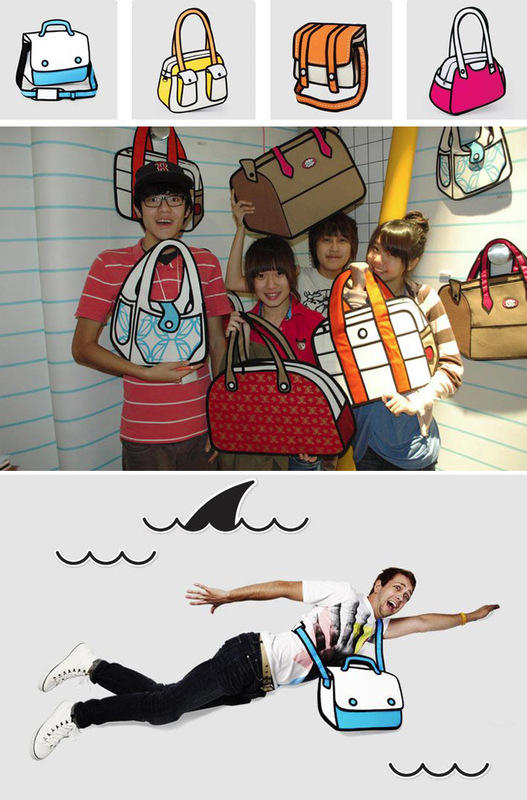 These bags will definitely turn a head or two on the street. This entry was posted in Fashion, Fun, Industrial Design, Just Plain Cool, Pop Culture, Stuff We Like. Bookmark the permalink.